Peterborough United have signed QPR midfielder Michael Doughty for an undisclosed fee on a three-year deal. The 24-year-old came through QPR's youth system but only featured 16 times for the Rs and spent most of his professional career out on loan. 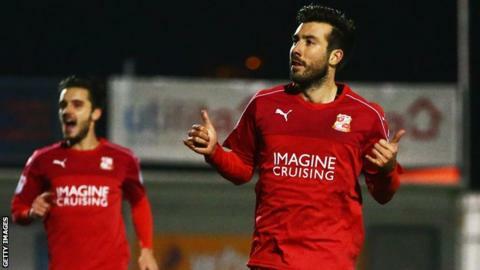 He has spent the much of the past two seasons on loan at Swindon, making 34 appearances in total. Doughty will join his new team-mates on the League One club's pre-season training in Spain later on Thursday. He told the club website: "I have experience of playing in this league and it can be a gruelling league. However, teams have shown, like Fleetwood, that you don't need to be the biggest club in the division to have success. "I like the way the team play and that suits my game, but the biggest thing for me is winning. I hate losing, you only have to ask my girlfriend that."